James Merrill and … the New York School? 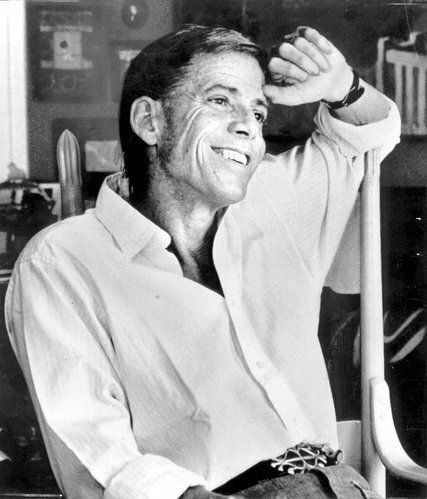 James Merrill is not often mentioned in the same breath as poets of the New York School. He is usually viewed as a consummate formalist and genteel New England poet, celebrated for his elegant style, refinement, and restraint, who operated at some distance from the avant-garde of his day. It has therefore been easy to overlook the fact that Merrill actually spent the formative, early years of his career very much in the midst of the New York art and poetry world of the 1950s and 1960s and had significant ties to the poets and painters of the New York School. 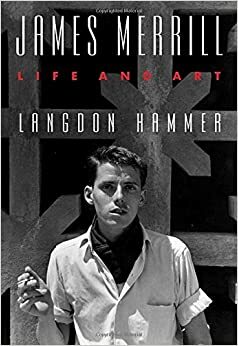 Fortunately, the massive new biography of Merrill by Langdon Hammer called James Merrill: Life and Art — which has been receiving favorable reviews in places like the New Yorker, the New York Times, and the New York Times Book Review — chronicles this important chapter of Merrill’s career. took classes in Machiz’s school for actors; he played the part of John in a workshop performance of O’Hara’s Try! Try! Myers and Machiz meanwhile were hosting the ‘best’ parties that Merrill ‘ever went to.’ Among the assembled, he especially liked Ashbery. He soon felt the influence of the slightly younger, Harvard-educated poet’s work on his own poems, which made him uneasy, and he was shy in Ashbery’s presence. They would remain friends and admirers of each other’s poetry for the rest of their lives, with a subtle undercurrent of rivalry. Larry Rivers was easier to befriend, although, or perhaps because, Merrill had much less in common with this ebullient saxophonist from an immigrant Jewish family. In 1954, Merrill bought a big landscape by Rivers, painted in Water Mill, near Southhampton. Robin Macgowan described it as a picture of ‘cows, grass, and clouds rendered with the freshness of an ex-jazz musician from the Bronx discovering the countryside for the first time. In 1955, Rivers made oil portraits of both [Merrill’s lover, David] Jackson and Merrill; in his, Jimmy looks like a junior Merrill Lynch executive in his glases, button-down shirt, and striped tie. Robin, who met Rivers through his uncle in 1956, noted that ‘Jimmy then longed to write the way Larry painted’: loosely and casually, with confident self-display and ‘colloquial exuberance.’ The big Water Mill landscape was a kind of aesthetic challenge to Merrill, daring him to loosen up. Around this time, Merrill began to contribute money specifically to encourage artists, writers, and musicians in their work. In 1953, he gave Rivers $2500 that enabled him to buy a house in Southhampton, where the painter set up a studio … ‘Personally,’ Merrill explained, ‘I want to give to groups or individuals whom nobody else is as yet willing to risk helping. That seems to me far more valuable than swelling by a fraction of 1 percent the annual revenue of the Metropolitan Opera (much as I love it) or the United Hospital Fund (worthy though it be), or Amherst College.’ This was the vision behind Jimmy’s establishment of the Ingram Merrill Foundation, which gained tax exempt status in 1955. The Ingram Merrill Foundation would, over ensuing decades, give grants to Frank O’Hara, John Ashbery, James Schuyler, and Joe Brainard, along with a very long list of other writers, artists, and organizations. Merrill was embedded in the New York School’s network of friendships and affiliations. For example, in a 1957 letter to John Ashbery, Schuyler discusses a friend being “bemused and thrilled to hear you have a mustache” and then adds “Jimmy Merrill described it as very French: otherwise he spoke very well of you, and made you sound as handsome as the dawn over Parc Buttes Chaumont or whatever it’s called.” Frank O’Hara’s letters casually mention “Jimmy and David” coming over for drinks, and refer to Merrill visiting Schuyler after one of his psychological breakdowns and offering his generous assistance. Literary history likes to divide writers and place them in somewhat artificial categories and movements that often obscure the complex reality of affiliations, friendships, and influences. Fortunately, we now have Hammer’s biography to flesh out some of the details and remind us of the intriguing set of connections between Merrill and the poets of the New York School. This entry was posted in Frank O'Hara, Herbert Machiz, James Merrill, James Schuyler, John Ashbery, John Bernard Myers, Larry Rivers, Tibor de Nagy Gallery, Visual Art. Bookmark the permalink.